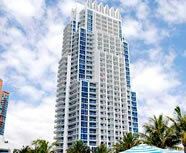 South Beach Real EstateContact Us Now! South Beach is the place to take your talents to. 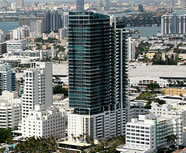 Whether it is called "SoBe" or "America's Riviera", South Beach is a world-renowned neighborhood in Miami Beach. 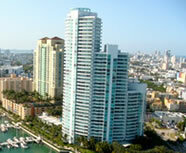 South Beach includes all of the barrier islands of Miami Beach south of Indian Creek. 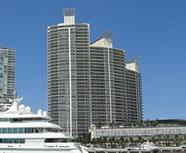 There are nearly 40,000 residents in SoBe. 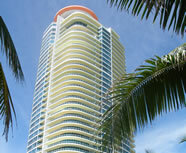 Real estate South Beach Florida is the pinnacle of trendy and relevant. 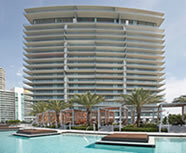 There are many homes for sale and even more condos for sale in South Beach. If your interests lie in luxury homes and luxury condos or you want nothing less than the best in ultra-luxury homes or ultra-luxury waterfront penthouses, South Beach has it all. Many who visit end up staying, either by buying a second home or opting to extend their stay indefinitely and securing a South Beach rental property. 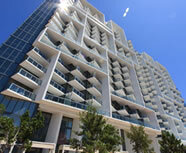 Luxury rentals are also available and start at $10,000 per month. Buying or leasing, there are many luxury high-rises to choose from: Apogee, Continuum I, Continuum II, Icon, Murano at Portofino and more. South Beach was the first part of Miami Beach to be developed, starting in the 1910s. 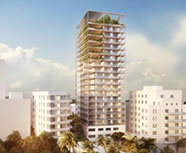 The Miami Beach land boom began in 1920. The 1930s saw an architectural revolution as Art Deco, Streamline Moderne and Nautical Moderne styles exploded. The island was briefly taken over by the Army Air Corps after the Pearl Harbor attack in 1941. In the 1970s and 80s South Beach was relegated to being a retirement community filled with poverty and crime, then in the late 80s there was a renaissance. 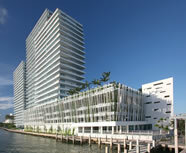 The fashion industry began to take over and then there was the construction boom in South Beach. 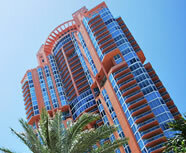 The area underwent a transformation from retirement to ultra-wealthy with the rise of luxury high-rise towers. 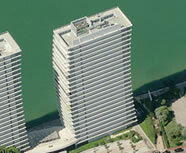 It is currently an ultra-fashionable, wealthy part of Miami real estate. 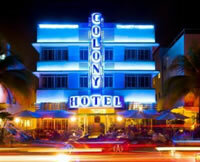 Whether it is daytime or nighttime, South Beach is the major entertainment destination in Miami. There are hundreds of nightclubs, bars, restaurants, boutiques and hotels. It is considered a tourist hot spot where some end up purchasing second homes. 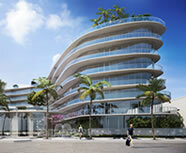 Lincoln Road, Ocean Drive, Washington Avenue and Collins Avenue are great for eating, shopping and entertaining.